Toran NaLosen has no future and no hope. His path is bleak: die at thirty or sacrifice his emotions to survive a few more years. 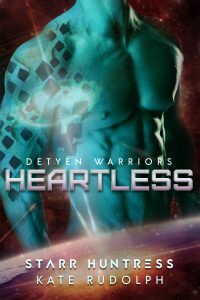 Stranded on Earth and far from home, the last person he expects to meet is the one woman meant for him, his denya. Iris Mason protects the Earth in her own way by investigating threats and reporting on them to the Sol Defense Agency. At work she’s thriving, but personally the past year has ground her down and tested her resolve. Still recovering from the implosion of her last relationship, she doesn’t want the risk that comes with a new man. But when her job puts her on a collision course with Toran, a lightning bolt of lust hits her and has her questioning everything. These adversaries must forge an alliance if any bond between them stands a chance, but it may not just be their hearts at stake. An ancient foe of the Detyen race lurks whereever they look and he has a new target in his sights: Earth. Andie Munster never expected to leave Earth, but one abduction and six years of servitude later, she knows that life can take a girl places she never expected to go. 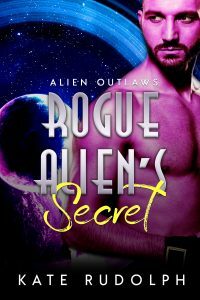 After a daring escape from a planet that held her hostage for more than half a decade, Andie is having trouble telling if her situation just go worse. 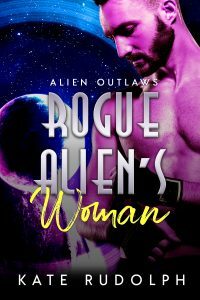 She doesn't think she's cut out for the life of an outlaw, and with her former rescuer running hot and cold, she isn't sure that she has any reason to remain on his ship. Back on his ship things should be going great for Xandr. 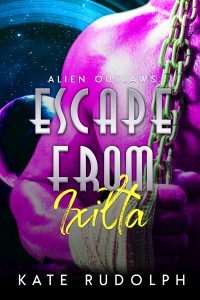 Instead he's been stripped of his position as captain, his crew is questioning his decisions, and he can't keep his eyes off the human he rescued from Ixilta. Demons from his past mean that romance isn't something he can take for himself, but every time Andie gets close he can't think of anything else. When a job comes up that's too lucrative to miss, Xandr and his crew will risk everything to pull it off. 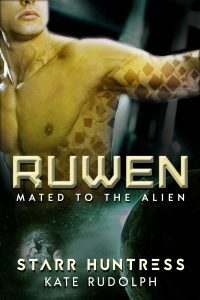 But is Xandr willing to risk the one woman who makes him want more than a life of petty crime?